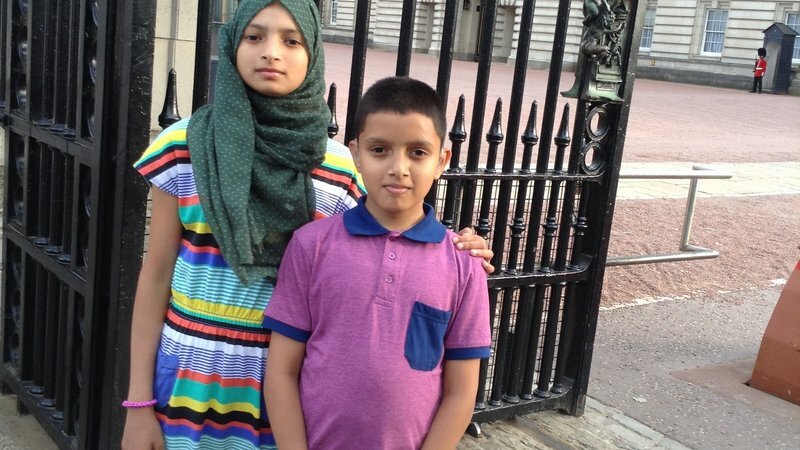 There is a petition that is fast being shared via social media directed at the Home Secretary, Theresa May, to grant Anisa and Samian indefinite leave to remain. “They have been living here with their loving foster family since they were abandoned by their parents in January 2013. Anisa and Samian are both profoundly deaf. They have attended mainstream schools in Tower Hamlets and are now at a specialist school where they are learning British Sign Language (BSL). Their foster family, with the support of Tower Hamlets education authority staff, are also learning BSL. The Home Office claim that Anisa, Samian and their foster family are lying. They claim they are still in touch with the children’s parents, but have provided no evidence to support this. There is an appeal hearing to decide the case on 30th March. Having worked for the Immigration Appellate Authority in the past, they, the Home Office most likely will have the evidence required or, the lack of supporting evidence from the appellants to reach this determination. Otherwise, what the public / the appellants need to do is prove that they genuinely fear for their lives upon being deported to their homeland. Ten Reasons Why We Would Like Change. I would like to see the deaf community put their differences aside and work together to improve access. I wish they would realise no one is superior or inferior to another. I would like to see a bridge built between people of every walk of life (deaf and hearing for example) working together to establish common ground and to work out ways to bridge gaps that exist between the two camps. I would like to see the deaf community unite regardless of different communication abilities to work towards the same aims because that would make inroads more. I would like to see a day when being deaf does not feel like being punished for something you did not do! I would like peace because I am a troubled person. I would like people to stop having one rule for themselves and another for others because that is just selfish and unfair. I would like change to happen from the top down so everyone is equal regardless of whether they are deaf, HoH, deafblind, blind, hearing or different in any other way. I would like to see respect and tolerance between all human beings across the planet, and the gap between rich and poor hugely reduced. I would like people to realise just how diverse the deaf community is and that not everyone is reliant on the same assumed method(s) of communication. How Would You Like To Be Called? I had been anticipating my ENT appointment for months now and finally this day had arrived. But, what a day?! To begin with, I had been a regular patient at my local audiology department but when we last phoned for another appointment – I was notified I had to be referred back to audiology by visiting my GP, to ask to be referred to ENT who would then put me back through to audiology. What a palaver but if I needed new ear moulds and hearing aids then so be it. I persevered. Going through the broad spectrum of emotions and thoughts, as I decided I needed to be there at least twenty minutes early to claim a prime position, in the waiting room – close enough to scan lip movements for any names being called out. I had clarified with the receptionist if they would be calling out names, she confirmed this and that she would let them know I was hard of hearing. I explained that I was deaf to reinforce just how profound my hearing loss is. “Oh ok, same thing” she replied. I had to remain calm and took my seat albeit feeling rather surprised. My GP’s surgery has the same sort of contraption except they use it to announce patients’ names on it, for a certain designated room to be seen by Dr X or Y. So relatively I wondered why the ENT and Audiology departments despite being specialists, could not implement the same quality of service to be inclusive of all. 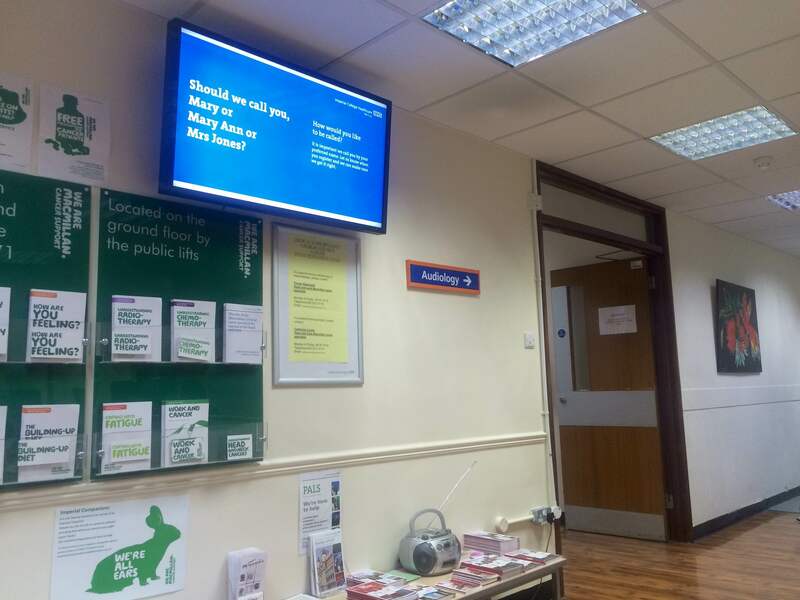 Digital technology in this day and age has advanced greatly but not in our NHS hospitals it seems. This needs to change for the better, for their sake and ours. 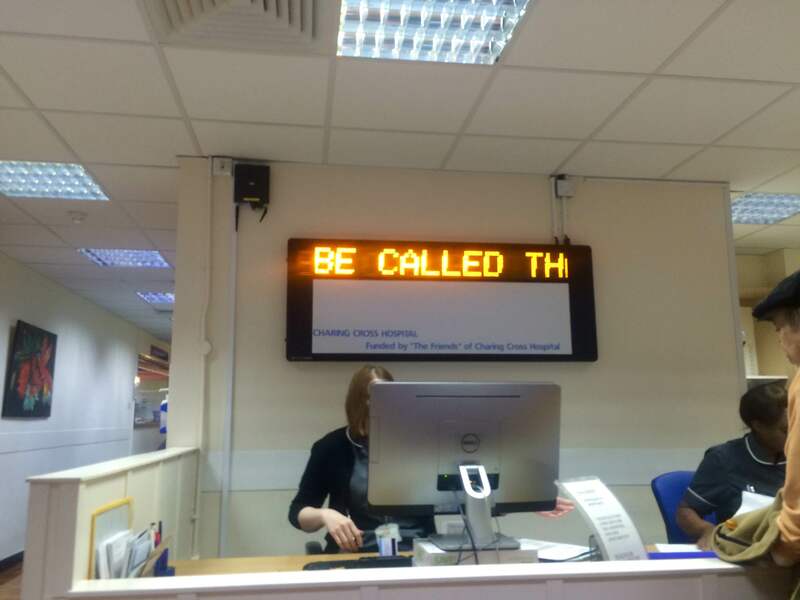 After all, they did ask how patients wanted to be called. How would you like to be called? On the screen in ENT. 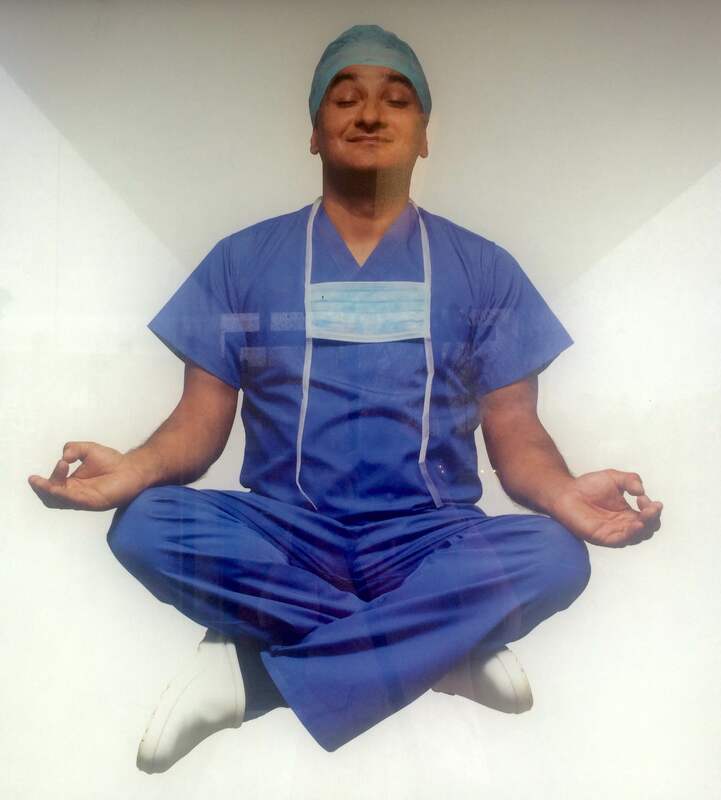 A Tree House dweller informed us that he once had a placard with his name on it whilst waiting for his appointment, much to the other patients’ amusement at the time. Unfortunately that is how appalling services can get and this is what he felt he had resort to in order to be seen. I was now sensing the other patients in the ENT waiting room were becoming restless, demanding to know when they would be next seen and this poor nurse was trying to appease them. By this time I had managed to pull myself together from feeling quite annoyed at being passed to audiology and then back again to ENT not knowing why or if I would be seen, if at all. If they were getting angry at being delayed by mere minutes, I thought to myself how should I be feeling only to be made to wait potentially a few months extra for my new ear moulds and hearing aids after waiting months already, especially in such an environment?! I decided I was not going to let them feed me any negativity and found some inner peace to remain patient. From not the usual place names were being called out (the doors in the photo above) but further to the side – I just about saw my name, whilst glancing, being clearly spoken. My turn – Glee and amazement at catching that! I had the consultant this time around who was particularly interested in my family’s history of deafness – why they were deaf, how and if my children were “ok”. He then enquired how my hearing aids were. I mentioned I had had them for about ten years now and the last time audiology tried to provide me with a new pair they did not suit me so handed them back hence why I was now eager to try again as my current ones were starting to become slightly temperamental. I am also scared of being left stranded with nothing to hear with. He explained to me that any new pair of hearing aids is most likely not going to suit me based on my audiogram so he is ordering a head scan to find the biological cause of my deafness since my mother was born deaf – cause also unknown and my father became deaf through meningitis. He was especially interested in my mother’s deafness and if she could talk well. “Yes” I replied, “Just like I can”. The consultant then expressed. “I would like to put you down for a cochlear implant if the new hearing aids do not work for you”. Instantly emerged a brand new, never experienced before emotion and it is one I cannot find the words to describe. As my consultant returned me to the audiology’s waiting room and found me a seat; I thanked him for his time. Suddenly I found myself dismayed, wondering why I was once again back in Audiology! Recurring feelings along the lines of, “Do they know I’m here / am I in their queue?” I scanned once again for any names being called out. Whilst scanning one caller, I had not noticed another came out to call but noticed she had gone into reception to make a query about this piece of paper in her hand. She came back out and said… My name – Glee once again! Phew, that was a close call I determined– I had missed that first time around because I only have one pair of eyes. Ear moulds casts were made and she too concurred that the new hearing aids might not work very well for me due to the “different new sounds” they would make. But as anticipated I was going to have to wait at least two months more for another appointment to get and try out these new hearing aids. If only they had seen me when we first called as I was already a patient then, I would not have had to wait so many months more. She understood my frustration and said she would try to get something earlier. A cochlear implant? Me?! I must admit though being an honest person, if I hadn’t written this article regarding cochlear implants I most probably would not have been as open to the idea. One thing I do know at this point in time is that I am not looking forwards to the realisation of being left with less than adequate hearing from prospective replacement hearing aids – my current ones have lasted me for so long and they will not always continue to serve me well. Remaining positive though that the new pair will work just the same or better and if not, perhaps the next steps are meant to be. 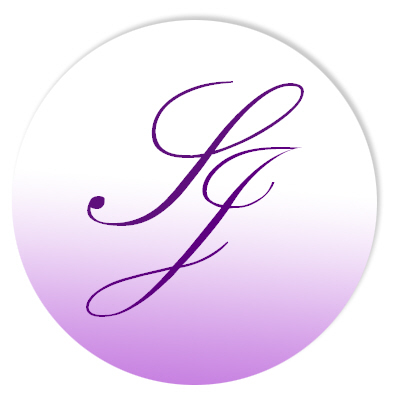 I would very much prefer to have the same quality of sounds or better – not less. Just as you would expect a replacement PC of the same specifications or upgrade to better specs. Does this mark the beginning of what could be the next stages in my journey? Only time will tell and more patience once again. Upon reflection, I realised that by asking patients to be referred through all over again it was giving the consultants a chance to catch those that may have filtered through first time around and a chance to produce a more updated yet better care? 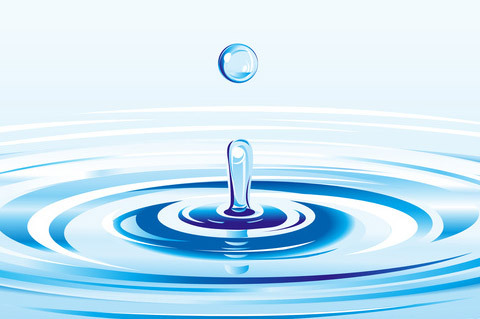 Going back to the title of this article, “How would YOU like to be called?” Be the change you wish to see so start that ripple effect by being courageous and letting your GP’s surgeries, Audiology and especially the ENT departments know, just how THEY can be more inclusive and improve their services. There are barriers that our deafness prevents us from fulfilling certain aspects of life so I set dwellers a task to finish this sentence according to our own interpretations and dreams for in dreams are seeds planted of reality. I long to be free as a bird. I long to be confident. I long to be loved for being me. I long to have stress free conversations, access to services where everyone is aware of our needs. I long to be a performer on the stage where I warm people’s hearts and put a smile on their faces for days weeks and even years later. I long to be able to give my daughter the best possible future without having to constantly chase education and medical professionals. I long to work for education authorities who understand that a deaf child is not going to “get better” next year, and yes, they will need continued support. I long to be someone who can make a difference and inspire others too. I long to be given more access to services without having to constantly struggle with basic things like shopping, ordering food in a restaurant, or travelling. I long to work somewhere I feel I belong, where I don’t feel socially isolated, and where colleagues are deaf aware, or willing to learn deaf awareness. I long for access but the crafty part of me would like to continue crafty conversations where not everyone understands! I long to be understood. I long for a world where web live chat is a common alternative to phone calls! I long to see the technology we REALLY need to communicate (as deaf people) SPEED UP …and coming up to speed! I long to see society take responsibility for excluding us in developments, new services, buildings etc. I long for people to understand that Hearing Aids are great, but do not “solve” my “problem”. I long for hearing people to simply accept us as one of them. I long to see an approved national independent governing body for all deaf issues. I long to see people no longer dictating and undermining others. I long to be a classroom teacher still, a job I have done for 30 years. I long to be understood by the hearing community (of which I am part) and not have them say when I say I work with deaf people stupid things like ‘oh, you must know Braille’. I long to read people’s minds… so I don’t have to make attempts at listening to them. I long to be awarded a life-long exemption certificate from the hassles of having to prove I have not miraculously become hearing due to the inefficiency of the government and their services. I long to be able to sing along with everyone else as I can hear the words of a song or even just be able to know what the song is and who the artist is. I long for people to stop hanging up on type talk calls!! I long to be taken seriously by all. Too often are my views brushed aside or disregarded simply because I won’t always be as confident in voicing my views as a deaf person in a mass of hearing people, and also some disregard because I am still young. I long for labels to be dropped – at the end of the day we are all human, we all live on one planet and we all have the right to be ourselves – throw the labels away. I long to able to occasionally be able to take back everything I’ve said, when I’ve answered a question only to find out I misheard and nothing I said makes sense in the conversation. I long to be able to go about living my life the way I want to without having to adapt to what society insists we do! I long to be always a Spring Chicken. I long to open up narrow minded people to the wonderful and diverse world we are a part of as it is they who create barriers and divisions! I long to see access rights for all the various communication needs and abilities. I long to be accepted for the intelligent person I am. I long to be considered as an equal and included as an equal based on justice. I long to be listened to….. I happened to be in the vicinity of the National Portrait Gallery when I was notified that Grayson Perry had done a piece on the deaf community as part of his “Identity” series. This intrigued my friends and I so we seized the opportunity to view his art work – some of which resonated with us, especially the “Memory Jar” and “A Map of Days” which was rather unique. 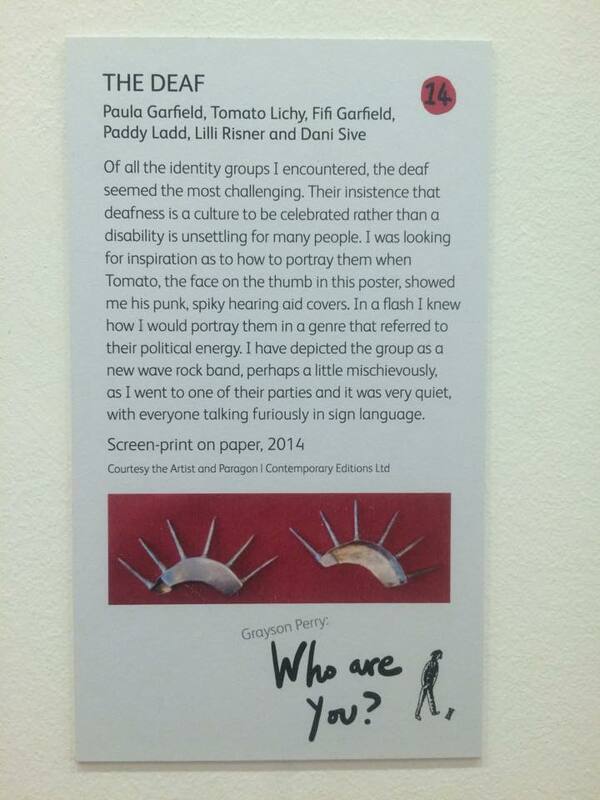 The episode which portrayed Grayson Perry’s time and artwork as a result from having spent with selected members of the deaf community was being broadcasted the very same day, amongst his other research with other aspects of “Identity”. Once I saw the artwork that reflected the deaf community on display in the National Portrait Gallery, I just knew there would be a repeat of certain schools of thought, of which some will say is justified for their own reasons. I decided not to watch the said episode for my own personal reasons which was respected. However, I suggested another piece of Grayson Perry’s artwork to my husband as I thought he would be interested in that aspect of Identity and he took it upon himself to watch the episode that featured Grayson’s research and the artwork. It happened to be shown in the same episode as “The Deaf”. Subsequently we had a chat and I felt compelled to relay his thoughts to the rest of the Tree House dwellers for another angle on it all coming from a hearing person’s perspective. 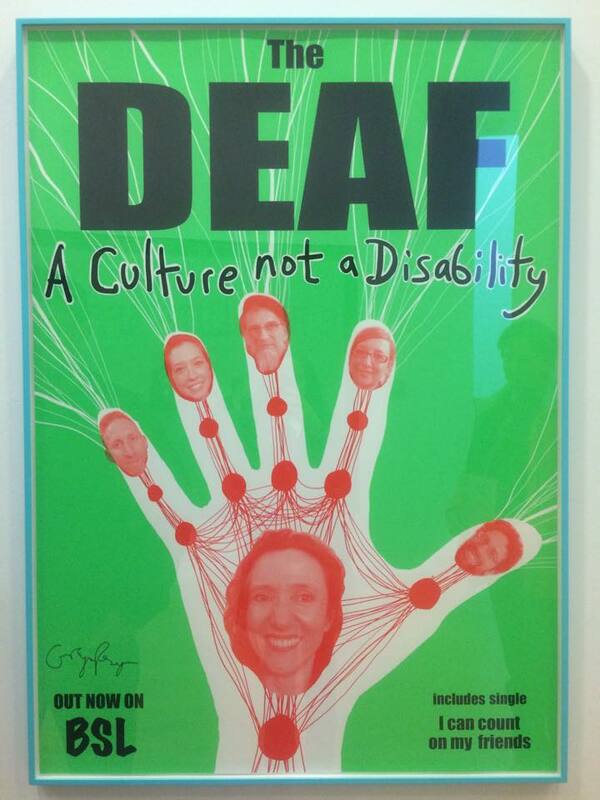 “As an artist it is not Grayson’s fault that he could not portray deafness very well because he is not deaf himself therefore could not grasp the true concept which is why his poster came out rather boring as deafness and sign language is very visual”. My husband then reminded me which I completely forgot about, how he did an identity project for his Masters as he is an “alien” in this country – One aspect of his project, he made a video of me signing and this video went up for debate amongst the students who were left feeling frustrated at not being able to understand and they dictated that he could not use this video because he was not deaf. He shut them up by saying it was part of identity and who he is, being an alien in this country – reversing the frustration back at them, at not being able to understand and/or follow a language. It takes a lot for my husband not to like anything and what he perceived being presented via the deaf people in the episode was nothing new – to him. I can only wish Grayson Perry had the opportunity to be exposed to a wider spectrum of the richer diversity within the deaf community so he could truly understand the issues that comes with deafness and our various communication abilities, skills and needs. There is no deaf culture or D/d per se – is there a hearing culture, H/h? Is there a blind culture, B/b? Let us not create any more division when there is no need or justification for it. On that note, we would like to invite Grayson Perry and anyone else who may be interested in the deaf community to visit us at the Tree House, who would also be more than welcome to come along to any of our events in order to meet us for a truer insight into just who we are, a community that respects each and every one’s needs and their/our choices of communication methods which results in TOTAL communication. A community that respects each and every one for who they are and wish to be. A community that is inclusive of all. But not one that would even dream of wishing a child would be born deaf. The “Read My Lips” Challenge. A lip-reading challenge called #readmylips was set upon the Tree House dwellers by Kimberley Lucas which the members embraced with open arms and acceptance. A series of lip reading challenges ranging from easy to difficult not to forget memorable and humorous was the result. However, this shall not end within the Tree house as we invite you, to guess the song/poem we are silently reciting and once you have – please challenge others too as this is all part of raising awareness about Lip-reading. Lip-reading to some comes naturally while others are self-taught and others rely on sound and context for assistance. Have fun with these #hotlips and ‘Carpe diem’ ! Sadly too many people are ill informed regarding the Israeli-Palestinian situation, the governments and the politicians of the West DO know the truth but because of their agendas, they will not act upon it to resolve anything. No matter what you say about this issue, people will always accuse you of being bias one way or the other, only ignorant people would see it from one side of the fence and show bias with a closed mind and follow their friends just like sheep. Miko Peled who is an Israeli Jew and was born into a prominent Zionist military family, his father was a well-known Army General and Miko himself served in the Israeli Army. His sister who lost her daughter to a Palestinian suicide bombing was a friend of Netanyahu (the current Israeli prime minister) and this incident happened while Netanyahu was also the prime minister then. My introduction of Miko would have you assuming that I am biased already because how can I pick an Israeli Jew to shed a light on the issue of Israeli /Palestinian conflict? Never assume! Far from it, Miko tells it like it is. Nothing deterred him from telling the truth, telling the truth was his mission and I am sure in the process he must have lost many friends. When you speak out, you have a lot to lose and life can become a lot harder for you and this why I feel he has nothing to gain apart from telling the truth. 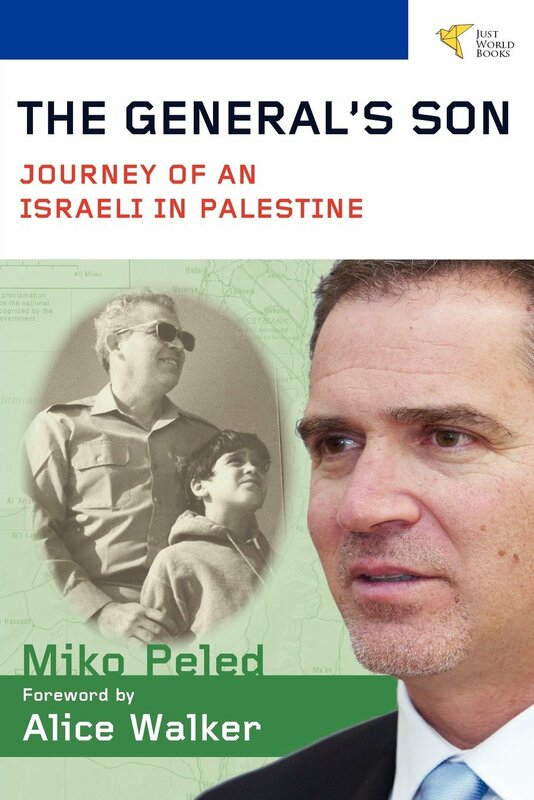 Miko Peled, The General’s Son, a journey of an Israeli in Palestine. In 1997, a tragedy struck the family of Israeli-American Miko Peled. His 13-year-old niece Smadar was killed by suicide bombers in Jerusalem. Born into a prominent Zionist military family, his father was a prominent general, who turned after the Israel’s “war of aggression” in 1967, into an advocate of peace with the Palestinians, the real owners of the land of Palestine. The tragic death of his niece served as an “eye-opener”. His personal journey from a Zionist by education, family and societal socialization into an outspoken critic of Israel’s colonial and aggressive policy is convincingly documented in his extraordinary book: “The General’s Son”. His sister, Nurit Peled-Elhanan, reacted very unusually to the tragic death of her daughter. She did not blame the suicide bombers but the occupation policy of the Israeli governments. At that time, Benyamin Netanyhu served his first term as Israel’s Prime Minister. As a mother, she did not call for revenge because Israel’s long lasting mistreatment of the Palestinian people created people like them. Miko Peled makes it also very clear that Israeli policy has to be blamed. His sister, Nurit Peled-Elhanan, is a well-known professor for language and education at the Hebrew University in Jerusalem. Her latest book “Palestine in Israeli Schoolbooks” (or video) shows how Israeli school children are indoctrinated by outright racism and Zionist ideology. 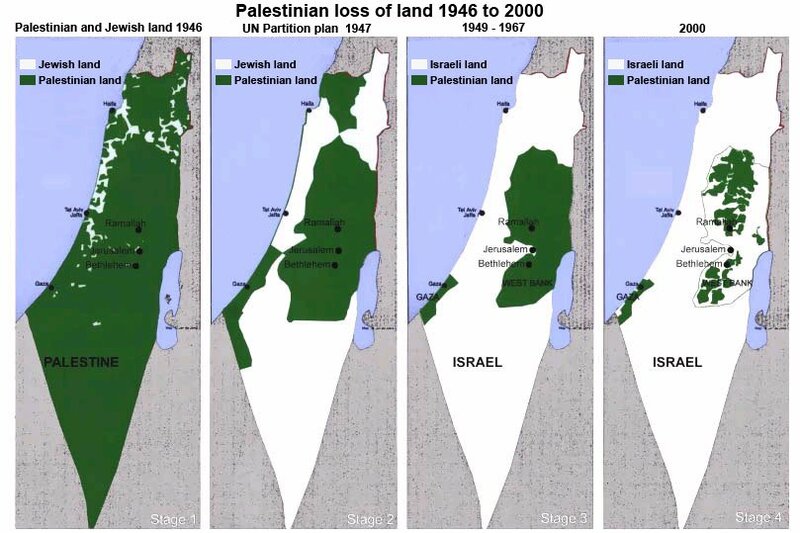 This manipulation occurs at different fields like images, maps, layouts and use of language in History, Geography and Civic Studies textbook, The manipulation by education aims at the marginalization of Palestinians and reinforces Jewish-Israeli identity. The author himself was a victim of Zionist indoctrination that stigmatized a whole people to enemies he has had no opportunity to really know. 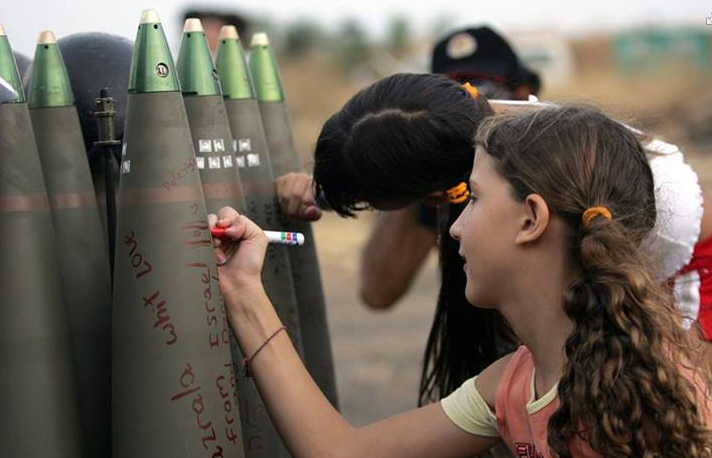 This insanity ended when Miko Peled met for the first time Palestinians in San Diego. With these meetings began a journey from darkness to enlightenment. Step by step, he stripped himself of the taught ignorance of the so-called “other”. Forty years later, Miko Peled followed into his father’s footsteps, General Mattiyahu (Matti) Peled. He was the first famous member of the Zionist military establishment who “violated” the esprit de corps. Courageously, he debunked the Zionist mystique about the Six-Day War of June 1967. Everybody, who is not a partisan, knows that it was a war of aggression, planned by the military establishment, the second generation, against the will of the political leadership, the immigrant generation. One should read the statements by Israeli politicians like Menachem Begin or other top brass of the military elite. But neither the US nor European academics incorporate their statements into their analysis because it would destroy the myth about the Six-Day War that Zionist Hasbara (propaganda) has created. The author combines the exceptional history of his family, the political development of the State of Israel and his personal conversion to a fundamental critic of the policy of the different Israeli governments. As a former soldier he knows what he is talking when it comes to the Israeli army: It is the “best trained, best equipped, best fed terrorist organization in the world”, so Miko Peled in his speech on October 1, 2012 in Seattle. “Their entire purpose is terrorism.” What will the “Israel Lobby” and its fans in the US or Western Europe says against this realistic characterization? They will yell out: “self-hating Jew”; “Anti-Semite” would not work well against a former Israeli soldier, or their other ridiculous accusations. Presumably, they will just hush up. Nevertheless, should it occur to the public that their only argument against Peled’s very convincing arguments might be character assassinations? What Peled writes cannot be confounded by the Zionists all over the world. Even the universal weapon of “anti-Semitism” would go unheard. Not the so-called anti-Semites or the so-called self-hating Jews have to justify their legitimate criticism of the brutality of the Israeli government policies against a defenseless people but the Zionist crowd in the US and all over the world. Peled stresses that the “Israel Lobby” and their cheerleaders have to explain why a so-called “Jewish and democratic state” colonizes against international law, human and real democratic rights a people and destroy systematically their existence by house demolitions, expulsion, torture, settler and military terrorism, uprooting trees, build Jewish-only roads, establish a different law systems, one for Jews and the others for “barbarians”, or the massacre in the Gaza Strip in 2008/09 that caused the death of more than 1400 people, most of them women and children. How the “Israel Lobby” does explain more than 30 laws that discriminate against Israeli Palestinians who live in Israel proper and are citizens of the State of Israel? More and more Jews with conscience in the US turn their back on Israel. They are fed up that Judaism is taken hostage by Zionist ideology. Norman Finkelstein’s book “Knowing too much” and Peter Beinart’s book “The Crisis of Zionism” are evidence for this theory. These are just some of the reviews left by readers of this book. I expect like most I previously hadn’t thought too much about the history of Israel or as it turns out, the arcane, arrogant attitudes of the leadership of the Israeli people. This book through the personal story of Miko Peled gave me an insight to both and opened my eyes to the real situation in place today between Israel and Palestine and its people. My views are now more refined and lead me to believe that the Israeli government has serious questions to answer and much for which to atone. Miko Peled takes the reader on a journey across the divide of hate created by Zionism in both Israel and Palestine. In tackling the apocalyptic cruelty of extreme far-right statehood and racial supremacism, his touching humanity towards his Middle Eastern brothers shines through. Great read. Miko Peled’s credentials are impeccable; he was a captain in the Israeli Defence Force, his father was a General in the IDF and his grandfather took part in the declaration of Israeli independence. Despite all of that he has now turned his back on Zionism and explains in the book, with humility and humanity his reasons for doing so. After conducting his own research he also discredits many of the Zionist myths, including the background to the 1967 war and the true circumstances behind the Palestinians leaving their homes and homeland. Probably because of its explosive contents, this book has had little coverage in the UK media, all the more reason to read it. I hope the madness of Israeli leadership will stop one day. They are generating so much hatred towards themselves from the Arab world; they are not doing themselves any favours. If the tables are turned one day and they find themselves pushed to the sea they will only have themselves to blame. The Jews have hi-jacked the term ‘Semite’ to apply to them, when a ‘Semite’ is basically a definition of the Arab race, there is actually no such thing as the Jewish race, u can have black Jews, Indian Jews Chinese Jews ad nauseum infinitum. A shared belief in a specific religion or philosophy does not constitute a ‘race’, the Jews are in fact the biggest anti-Semites ever who are taking the pith by bombing the Arabs during their holiest month which only goes to show just how oppressive they are – in other words, “Bullies”. What Israel is imposing is actually an act of crime which the world is turning a blind eye on. If we are bystanders to injustice, we invite injustice our way. Where are the Palestinian’s human rights?? Hitler tried ethnic cleansing on the Jews which is what the Jews are doing to the Arabs. 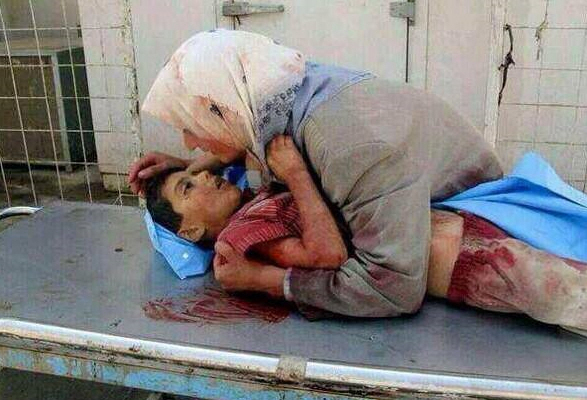 Where is the support world over, for the Palestinians?! “The struggles of people under colonial and alien determination and racist regimes for the implementation of their right to self-determination and independence is legitimate and in full accordance with the principals of international law”. For live updates on Israel’s military offensive on the Gaza Strip, click “here“. A mother and her child. 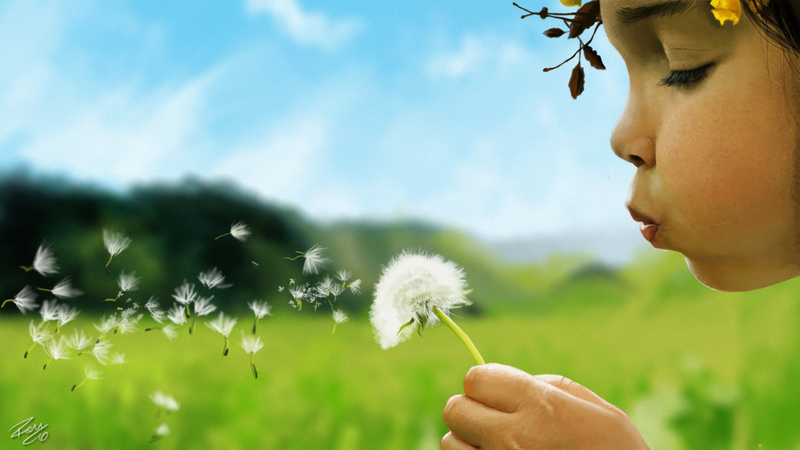 Each and every one of us is someone’s child – How many more can the world ignore? Where is the justice and peace? There is not a parent in this world who could ignore this.